The Okinawa Association of America (OAA)‘s Annual Picnic has been a tradition for local Okinawans and Okinawans-at-heart since its first incarnation in the 1930’s. The picnic has always been a highly anticipated event for families enjoying summer afternoons of homemade treats, family games, and Okinawan cultural performances. It has also become the venue for the OAA to award its annual scholarships to graduating high school students. 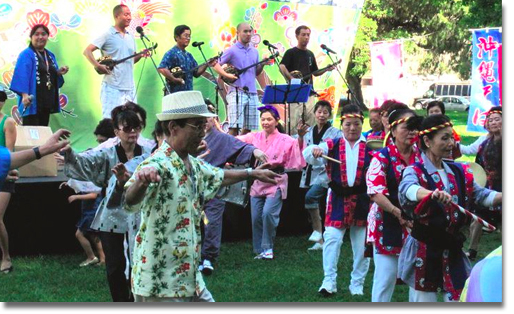 This year will mark the seventh year of Okinawa-style bon dancing at the OAA Picnic. Regardless of age or experience, everybody is invited to participate! Okinawa-style bon dancing is accompanied by dancing drummers (eisa) and sanshin (banjo-like instrument) musicians. The origin of bon dancing is a Buddhist ritual to soothe the souls of ancestors during the summer Bon (or Obon) Festival. The OAA Picnic will be held on Sunday, July 7, 10AM – 4PM, at the Whittier Narrows Recreation Park (download park map), Area E-1, 750 Santa Anita Ave., South El Monte. Teriyaki bento orders ($7 each) and pre-sale raffle tickets ($1 each) are now available to purchase until June 28. Top raffle prizes are an iPad Mini donated by Kamiya Insurance Agency, and a flatscreen HD TV donated by the OAA Seisonenbu Activities Committee. Parking is $6. 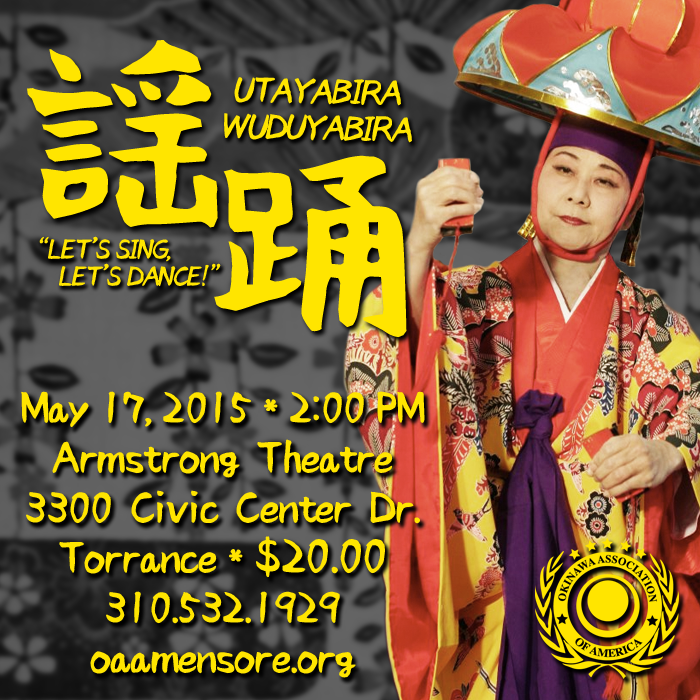 Please contact the OAA office at (310) 532-1929 or mensore@earthlink.net for more information. Please submit your pre-order form, raffle ticket form, and payment (made payable to the “Okinawa Association of America”) to: 16500 South Western Avenue #203, Gardena, CA 90247. Bon dance practices will take place on June 24 and July 1, 7:30 PM, at the Higashi Bldg. of the OAA Center, 16500 S. Western Ave., Gardena. Practices are open to the public. Practice videos are posted here.